Thanks to the many California down payment assistance programs available, you may be able to get help buying a home. The main program that consumers can qualify for is known as CHDAP. This is a loan that has to be repaid, but the repayment date is deferred and the interest is extremely low. The maximum amount is either 3% of the purchase price of the home or 3% of the appraised property value whichever is the least. This type of California down payment assistance is only offered through a CalHFA approved lender. It is limited to only first time homebuyers in California. The property can be located anywhere in the state. To qualify for the down payment assistance program, the applicants must meet income and credit score guidelines. A home buyer education class must be completed either face to face or online. To find out if you meet the income guidelines, use the charts offered online that cover the income maximums. They are broken down by the number of people in the family and also the county where the property is located in California. This chart helps a person or family to quickly determine if they meet that first but very important piece of eligibility. The minimum credit score of the consumer must be a 640. With a couple, the credit score that is the highest can be used to meet that eligibility criterion. For those that have a lower credit score, there are free classes and counseling that can help them to successfully budget and to improve their credit score. This can take time, but once it is done then they can apply for the assistance to buy a home. Other stipulations of this California down payment assistance program are that all signers on the loan must reside in the home within 60 days. Some exceptions include those that may be on a military deployment. The property can’t exceed 5 acres and it can’t include a manufactured home on the property. CalHFA Zero Interest Program ZIP is a deferred payment junior loan of 3 percent of the first mortgage loan amount which can be used for California down payment assistance. Extra Credit Teacher Program The ECTP is an exclusive opportunity in California which provides deferred payment junior loans from $7,500 to $15,000 to assist with California down payment fees. The program is only available when used in conjunction with a CalHFA first mortgage loan, and is reserved for eligible teachers, administrators, classified employees and staff members working in California schools. Homebuyer Down Payment Assistance Program The CHDAP is a deferred payment junior loan  up to 3 percent of the purchase price or appraised value, whichever is less. Financing can be used to cover California down payment and/or closing costs. 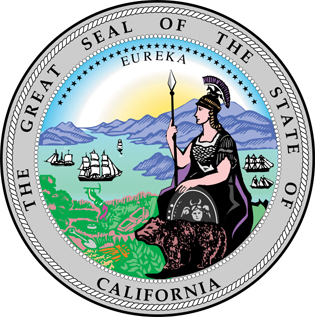 Only California borrowers who are first time home buyers can qualify. Qualifying income limits and purchase price limits are set by county. California housing agencies are your best resource for down payment assistance programs. Through funding from HUD, the purpose of these agencies is to ensure that affordable housing is available for everyone. This entry was posted in California and tagged california, down payment assistance, grants, housing authority, programs. Bookmark the permalink.